Frequently Asked Questions: You have questions? We have ANSWERS! Are there low cost spay neuter clinics in the DFW area? Yes — Those are listed in the links section of this website. My cat is declawed. Will you take it? No – They need their claws for protection in a barn environment. If you have a declawed cat that needs an outdoor environment then find that cat a city backyard to live in. What medical care is required BEFORE a cat comes to Barn Cats, Inc.? Will you come and pick up my cats? Are all colors/types of cats accepted? We do not like to take solid white cats. They can be seen in moonlight and are a “target” for a coyote that is also nocturnal. Look for a backyard situation for those white cats. What criteria does Barn Cats use before taking in a cat? I have friendly cats (pets) to place. How can I find a group to take them? I have cats to place but am outside your service area. How can I find a barn for my cats? Do I need a “barn” or will some other type of structure do? We have placed cats in chicken coops, warehouses, sheds, garages, mobile homes, tack rooms, etc. etc. etc! Each situation is unique and we will try almost anything as long as it is a safe location for the cats. I have chickens. Will cats bother my chickens? Support BarnCats – Donate Today! 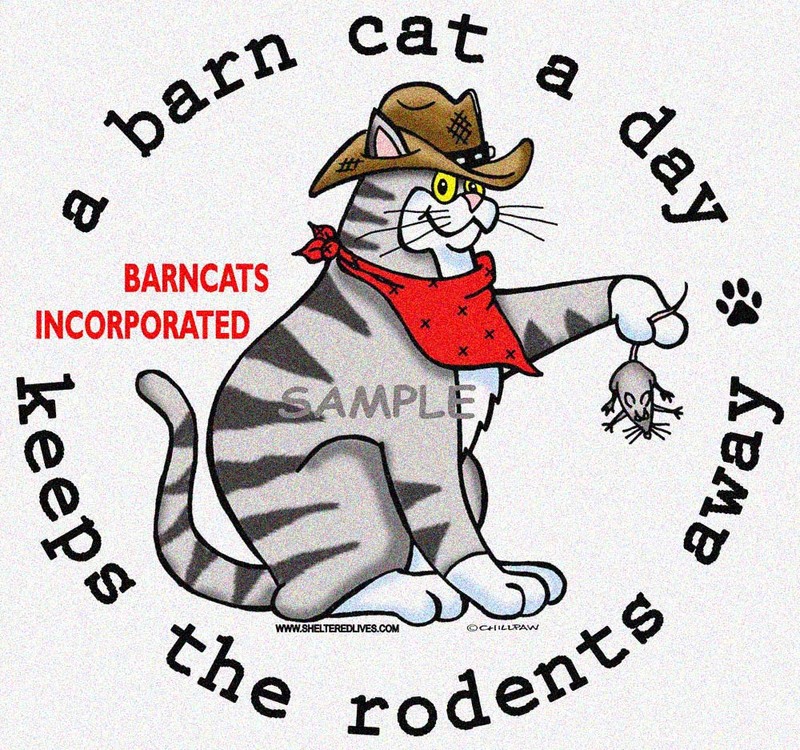 Copyright © 2015 , BARNCATS Incorporated. All Rights Reserved.